We study two finite element computational models for solving coupled problems involving flow in a fracture and flow in poroelastic media. The Brinkman equation is used in the fracture, while the Biot system of poroelasticity is employed in the surrounding media. Appropriate equilibrium and kinematic conditions are imposed on the interfaces. We focus on the approximation of the interface conditions, which in this context feature the interaction of different variables, such as velocities, displacements, stresses and pressures. 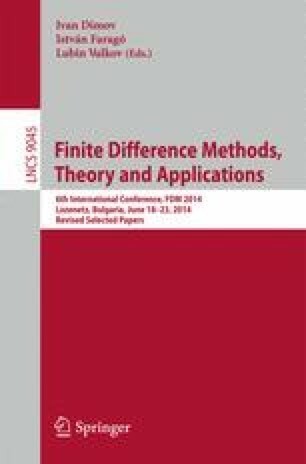 The aim of this study is to compare the Lagrange multiplier and the Nitsche’s methods applied to enforce these non standard interface conditions. The first three authors have been partially supported by the NSF grants DMS 1115856 and DMS 1418947. The third and fourth authors have been partially supported by the DOE grant DE-FG02-04ER25618. The authors thank Martina Bukac and Rana Zakerzadeh for their contribution to the development of the software used in this paper.